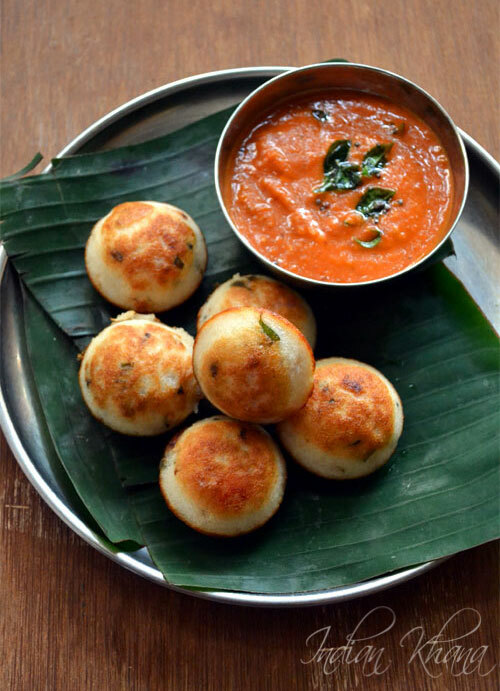 Kuzhi Paniyaram or Guntha Ponganalu as called in Telugu is breakfast or snack/tiffin dish is dumpling made with urad dal and rice batter but we can also use leftover idli-dosa batter. Paniyaram chatti (mould) or pan normally comes with 7 holes but there is bigger pan with larger number of holes is available too is used to make paniyaram. 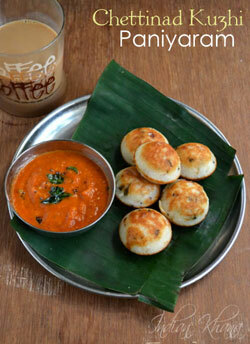 Kuzhi paniyaram can be made sweet or spicy version and today presenting Chettinad style Kuzhi Paniyaram. 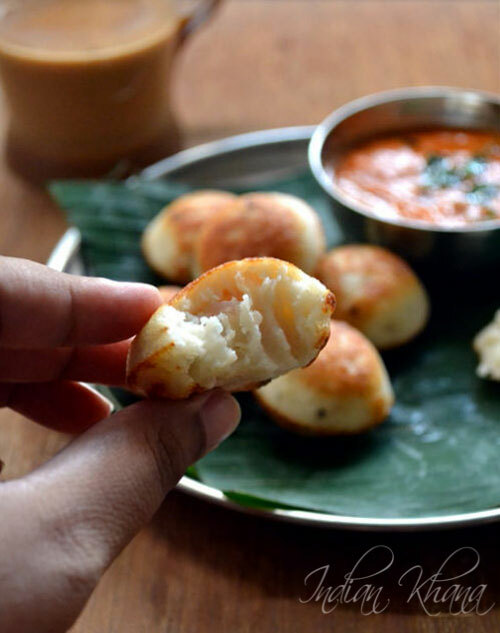 Paniyaram can be a handy recipe when we want to use leftover idli-dosa batter to use or when the batter starts to become sour. 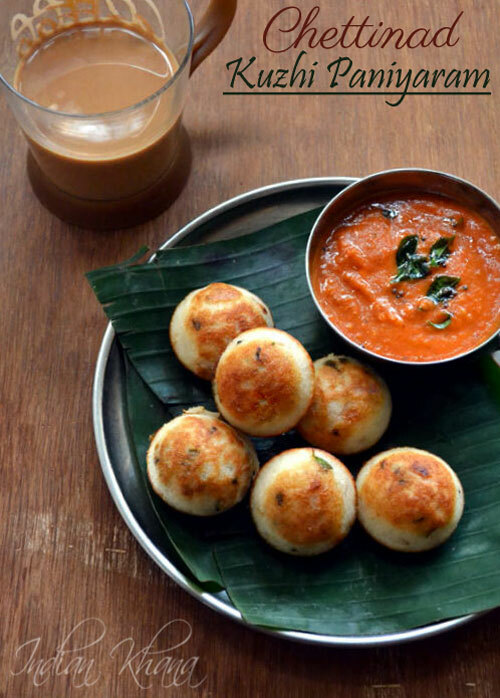 I normally make paniyaram with my last bit of idli batter mostly as snack along with evening tea than as breakfast. 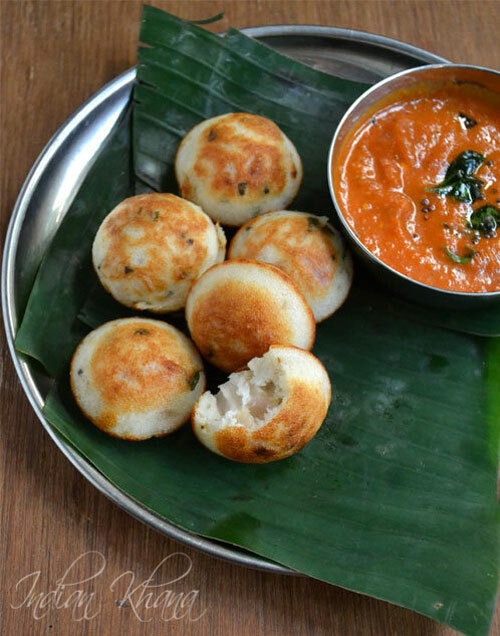 My in-laws also like paniyaram as it's soft from inside and crunchy outside plus spicy and filling too and it's something very new for them which they don't get to eat back home. If you are in hurry or don't have much patience then skip the onion frying part and add all the ingredients with batter and make paniyaram it taste good with nice onion crunch I mostly do in this way of adding ingredients to make it easy and fast. 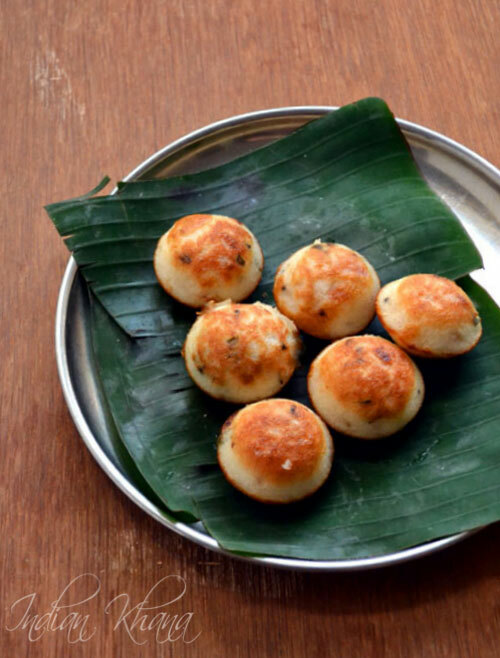 You can skip coconut and make it as kuzhi paniyaram with same recipe too. 1. Finely chop onion, green chilli, curry leaves. 2. Heat 2 tsp oil in a wok or pan add mustard seeds and allow to splutter. Add urad dal, curry leaves, green chili, onion saute until onion becomes soft. 3. Add fried onion, coconut, salt (if required) with idli batter and mix well. 4. Heat the paniyaram chatti/pan, add a few drops of oil. Pour spoonful of the batter or until 3/4 of the paniyaram mould. 5. Cover the pan and allow the batter to cook for 2-3 minutes on a low or medium flame, turn each paniyaram with a wooden skewer or spoon and cook until crisp, turn once or twice for even cooking if required. Repeat same for rest of batter. Serve warm with chutney and/or sambar along with tea or coffee.